Every Other Thursday, you’ll get this short, fun, relevant newsletter. It will contain a quote or smile about the library and those who love it, an idea you can use to promote your library or reading in general, a Common Core implementation idea and occasionally a shameless plug for the programs I offer. Enjoy! 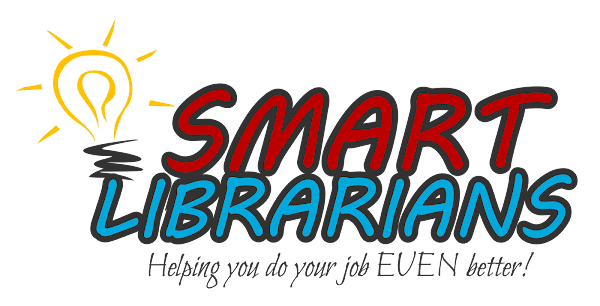 If you have missed any previous EOT issues, you can read them all at http://smartlibrarians.blogspot.com/. I found this quote by Carl Sagan on Pinterest this week and knew immediately that it would show up in this edition of EOT. I got a lot of nice feedback about my “What do Teacher/Librarians Do?” slide show. If you didn’t see it, here it is again - http://tommyjohnspresents.com/whatido.pdf. Enjoy! Reward readers with EXPERIENCES, not just stuff. Examples include allowing students to have lunch with you in the media center, be the first to checkout new books, allow them to place a hold on a favorite series. People remember the things they DO and EXPERIENCE longer than they remember the STUFF that they get. So why not reward your readers with experiences! Going to an amazing reading show by a great magician/puppeteer (was that subtle enough? ), going first in line, being the first one to checkout a new book, having lunch with YOU – all these things mean a lot more than a fake plastic rainbow Slinky shaped like a book! As I continue to learn about educational challenges from teachers and media specialists (and from kids in my shows) one thing is certain. It is difficult to teach readers of every grade how to get the main idea from a passage, story, or book. Getting the main idea is important because it is one of those essential skills that will help a person who knows how to read become a reader AND because it is always a part of those big pesky tests that the students have to take. And getting the main idea is vital to Common Core. How does “stuff I already know” help me enjoy a new book? I found this article to be very helpful as I began working on the “main idea” portion of the show. It will take a few minutes to read, but I think you will find it insightful and worth sharing with the rest of your faculty and staff. “Establishing the Main Idea” can be found at http://www.teachervision.fen.com/skill-builder/reading-comprehension/48706.html?page=3&detoured=1&for_printing=1. If your elementary or middle school is planning a career day, consider bringing in “I Had This Crazy Dream!” This show is all about BIG DREAMERS - inventors, teachers, authors, and other leaders who had big dreams and the things they did to make their dreams a reality! We use magic, puppets (Beauregard the Buzzard is back! ), comedy, costuming and audience participation to get across the message that ALL of us have big dreams and we can make those dreams come true, if we work hard, try our best, and, of course, READ! All of the people discussed in the show are READERS and your kids will run to the shelves to find biographies, cookbooks, books about science and drawing and lots more as soon as the show ends. I’d love to come to your school to inspire your kids to DREAM BIG! Make a Media Policies and Procedures Brochure and spell out the rules and regulations as well as the purpose and services offered. The P&PB is a tool, not a ball and chain. Use it to help you manage your work, not to restrict your ability to get the job done. You can have the P&P as a printed document or online. You should go over it in staff meeting when you introduce it and in pre-planning every year. And you should abide by it. If you don’t enforce it, you are wasting your time. Here are some samples to get you started. I have really enjoyed The Teaching Channel (www.teachingchannel.org) and the resources they offer. Subscribe for free and you will find lots of stuff that you can use! Turn your teachers on to this great resource and become a hero! Here is a link to a very insightful video on teacher evaluation - https://www.teachingchannel.org/videos/measures-of-effective-teaching-observation. Enjoy and share! It’s time to start thinking about THE BIG TEST! Whether your elementary students take the CRCT or the Stanford Achievement Test and the Alabama Reading and Math Test, I have a show for you! We Can Do This! is a Big Test PREP Rally that gets your kids excited about doing their best on the test AND gives them strategies and tips to help them excel on this important assessment. Using interactive media, magic, puppets, and old fashioned question and answer, we look at sample test questions, talk about preparation and strategies for the testing days and discuss the importance of the BIG TEST for your students, teachers, and school. Admittedly, most of the 45 minute assembly program includes stuff your teachers will tell your students, but there is something about having a magician tell them that really reinforces what they have heard. Here’s what some of your colleagues said about I Can Do This! "All of the information was extremely relevant to the CRCT. The strategies were the same ones we have been stressing to our students, but I think it helps to hear it from someone else and in another format." "We just had Tommy Johns perform his CRCT assembly program, 'We Can Do This!' for the entire school and he was great. 'Awesome' was the comment of one of our teachers! Tommy is very professional and entertaining. He weaves magic and puppets into important messages about preparing and taking the big test and the children loved the program. This is just what our children needed after taking benchmark tests; a positive, upbeat message. Another teacher commented that she really appreciated the fact that the assembly was academically oriented." "The students heard from you some of the same things that their teachers have been telling them. I think it's a good reinforcement." If you are only testing some grades, I can bring a different show for the other students to fill up the half or full day of programming you need.